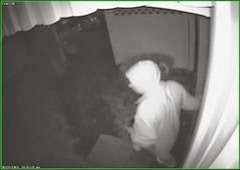 The Absecon Police Department is investigating a commercial burglary that occurred at the Shore Points Pools store on Rt. 30 (White Horse Pike). On February 26, 2014 Patrol units were dispatched to the business after the owner arrived and found that a burglary had occurred overnight. 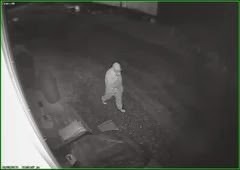 It was determined that the suspect forced his way into the rear of the business and stole approximately $400.00 cash from the office and a cash register. The suspect is male and appears to be approximately 5’-8” to 6’ tall and 180 Lbs. His race is unclear at this time but he appears to be light skinned. He is wearing a thigh length light colored hooded coat and white sneakers possibly “Puma” brand. The investigation into this and several other recent commercial burglaries is continuing. If you have any information about this or any other crimes please contact Detective Leigh Gadd, Jr. at the Absecon Police Department Detective Bureau at 609-641-0667 or CRIME STOPPERS at 609-652-1234 or 1-800-658-TIPS.